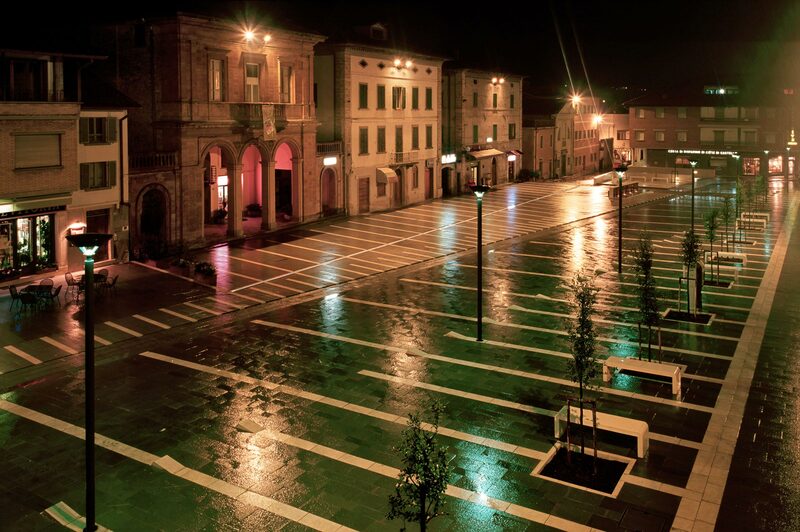 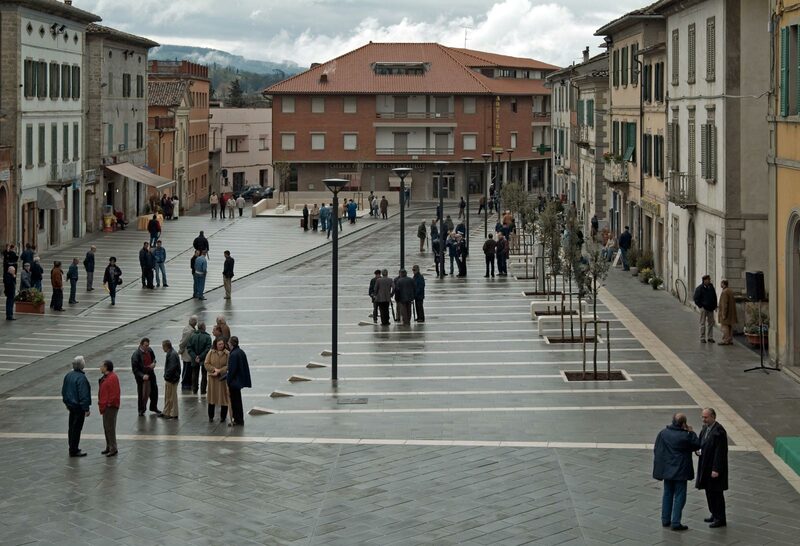 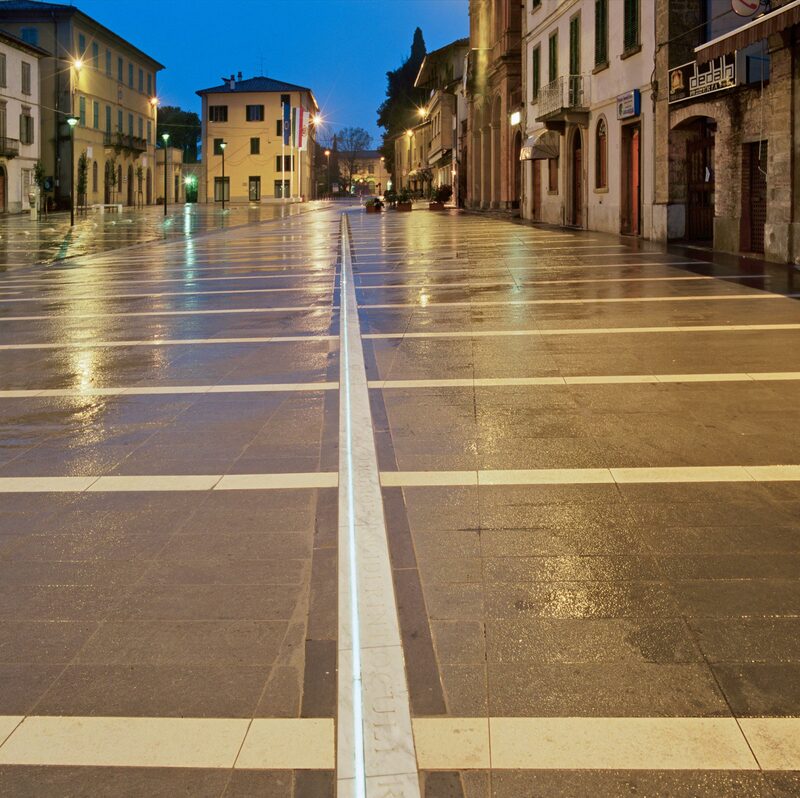 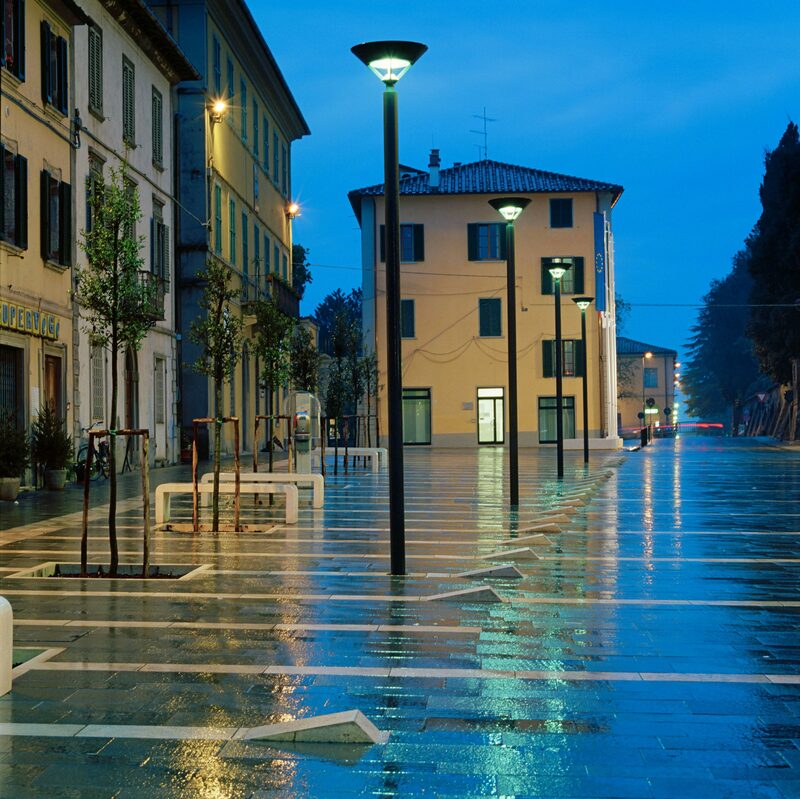 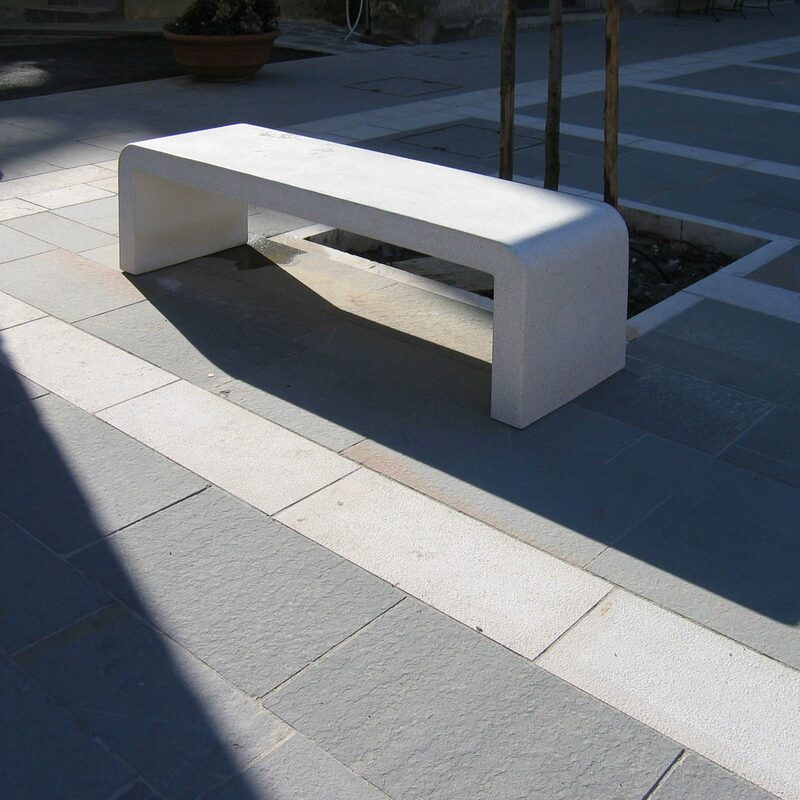 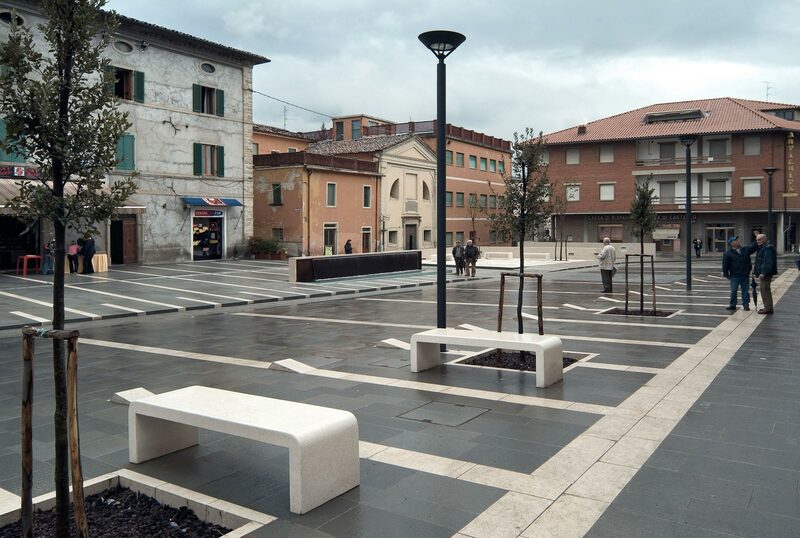 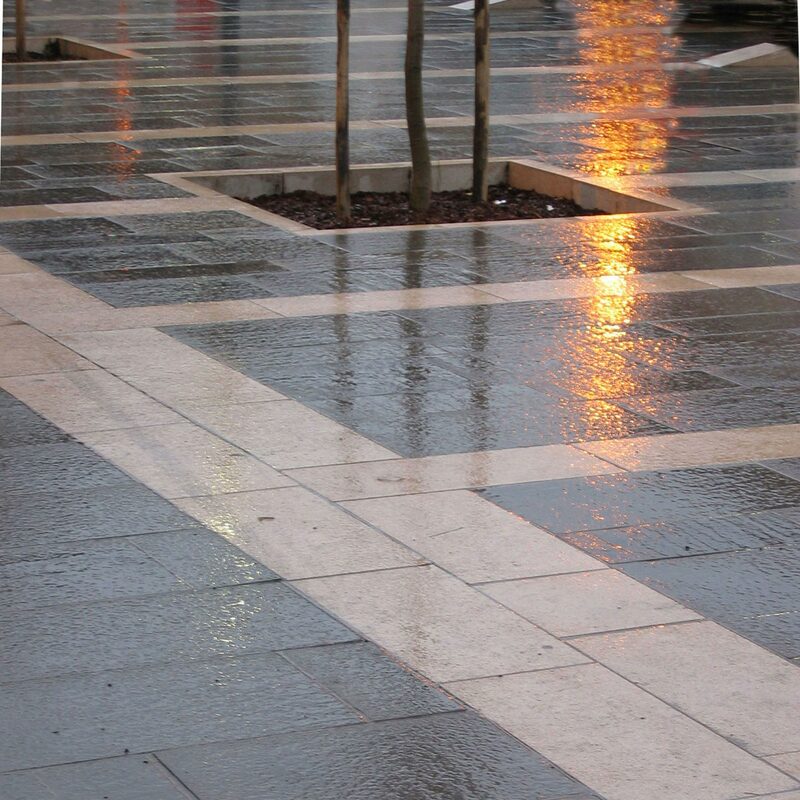 Goffredo Serrini and Claudio Zagaglia have intervened on the path of pedestrians in Piazza del Popolo in San Giustino, by introducing on the sandstone floor clear information using regular inserts of Istrian stone. 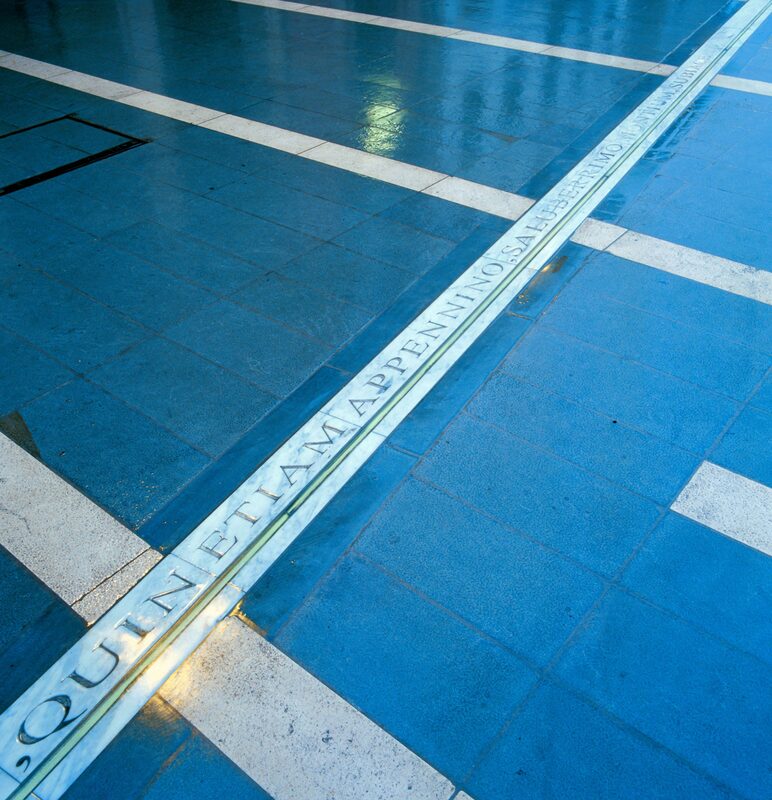 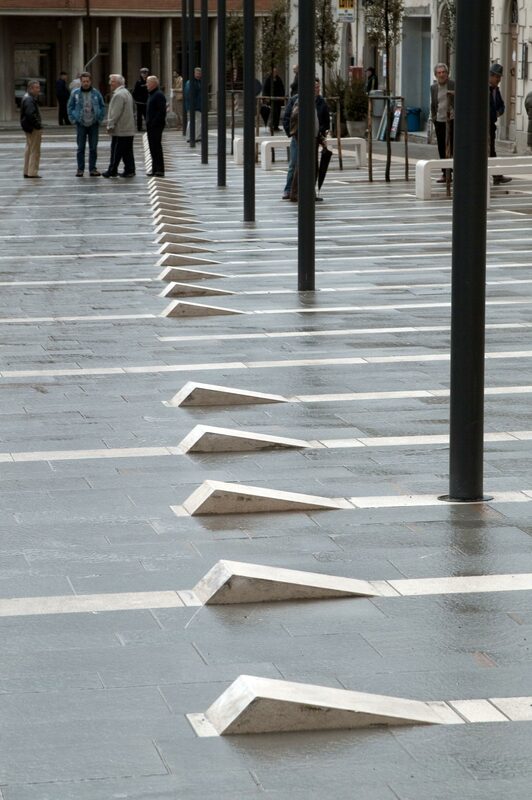 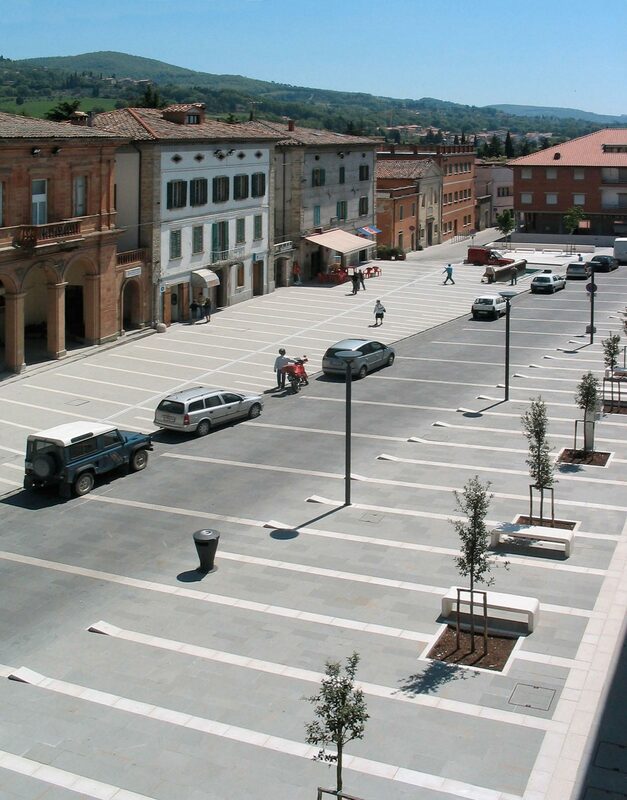 The whole piazza is organised horizontally, with strips dictated by usage flows, with pavements laid to echo buildings. 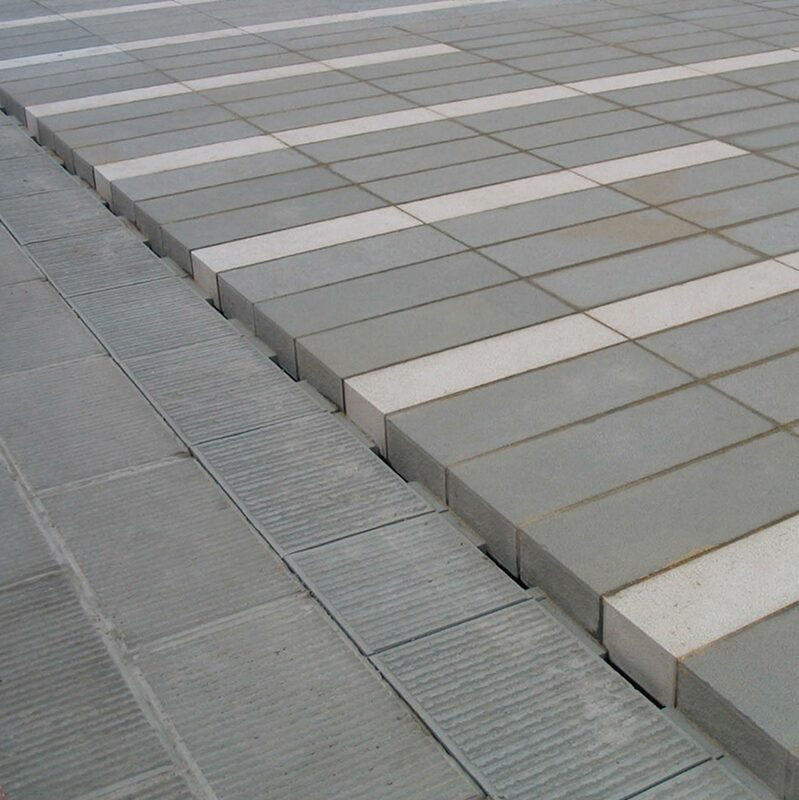 The complexity of the materials is enhanced by the adoption both of bush-hammered Pietra Serena, and also by grooved Colombino. 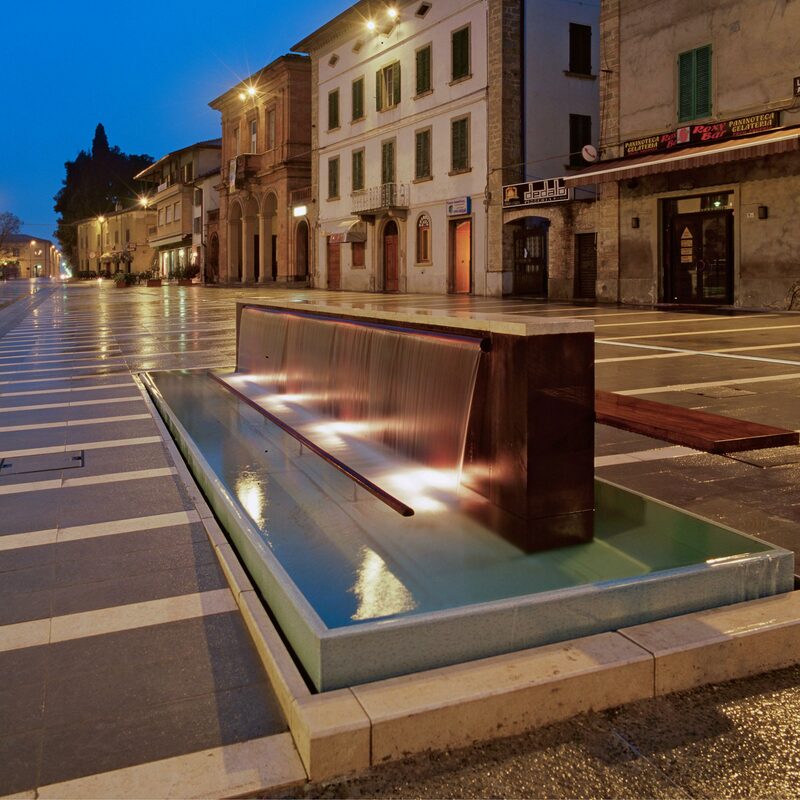 The issue of water is addressed with an elegant design and the involvement of the paving material: the pool is a three dimensional emergence of the public space, finished with a vertical cladding of ashlars of dry-mounted Istrian stone.